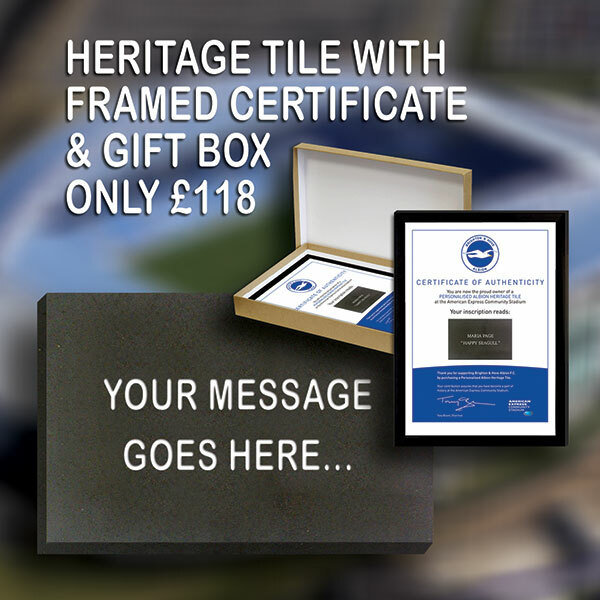 Choose a message to commemorate a special family occasion, favourite player or club success, your business name, as a business, gift, to celebrate a birth, to honour the passing of a beloved Seagulls fan, or anything else of your choosing. We will send a framed Certificate of Authentication in a gift box to your address or direct to the recipient of your choosing. 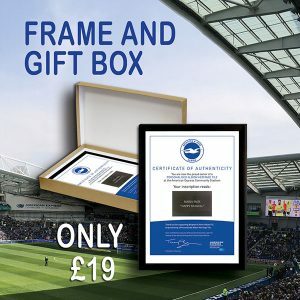 A truly unique gift surprise for friends, family, business associates, local sports team, schools or anyone who happens to be a fan of the mighty Seagulls! 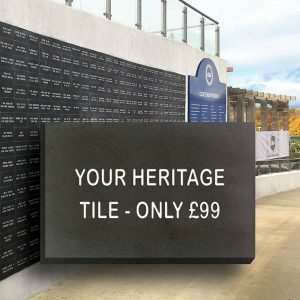 Your inscription should take up no more than 2 lines containing 16 letters, numerals, punctuation marks or spaces per line. We will send you a Certificate of Authentication.